We don’t see much mistletoe in the mountains but it does grow here. 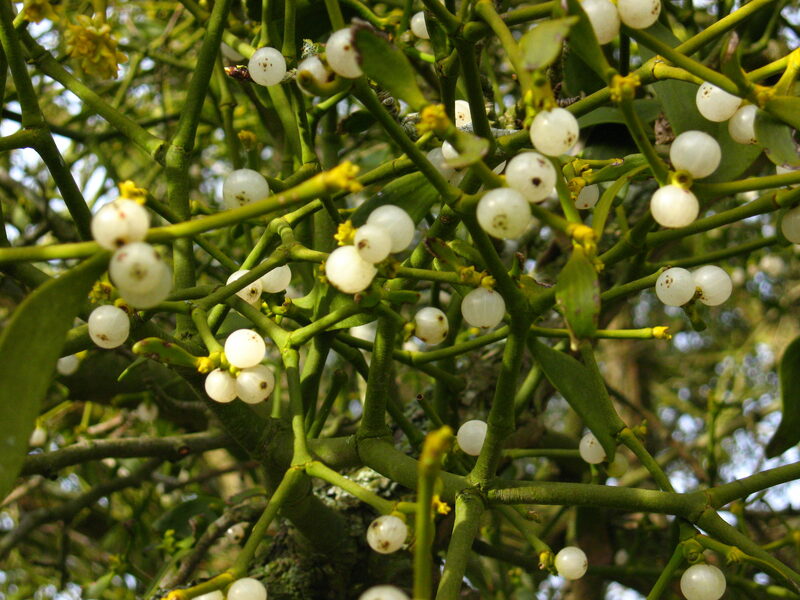 It’s interesting that mistletoe is toxic yet it is used for wine and medicine. 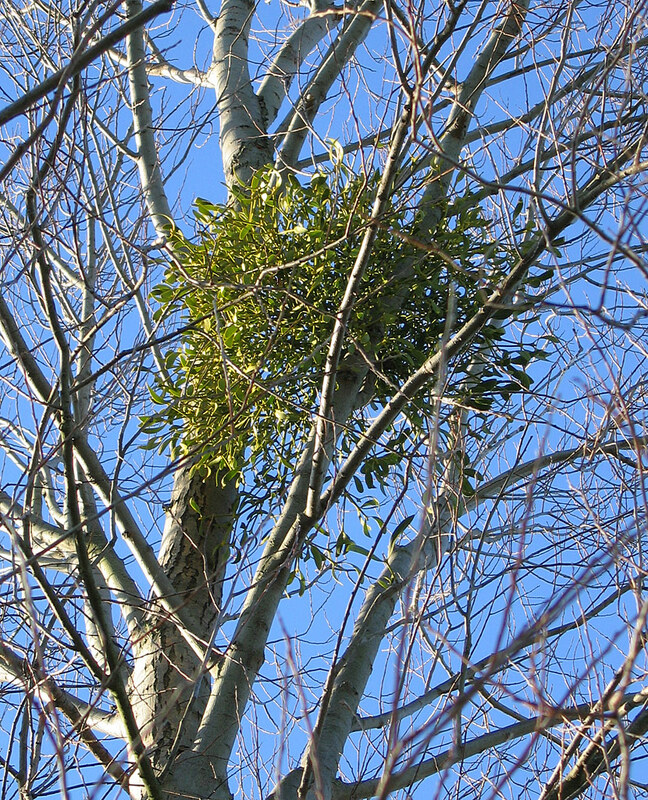 Mistletoe is lauded as forage for birds, yet it is parasitic on trees. Mistletoe is native from the mid-Atlantic to Florida, easily found in the Piedmont and low-country of the Carolinas, yet is uncommon in our mountains. Mistletoe is considered a pest in many states yet is the state flower of Oklahoma. And people seem to get an urge to kiss when they stand beneath it. Truly a plant of contradictions. There are many species of mistletoe but the one we see most is Phoradendron leucarpum. It is semi-parasitic on certain trees, penetrating their bark to get moisture and nutrients but using its own leaves to photosynthesize sugars and starches. It weakens the host tree but seldom causes its death. 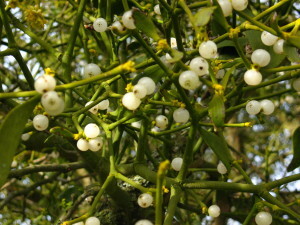 Mistletoe is dioecious meaning that there are separate male and female plants. 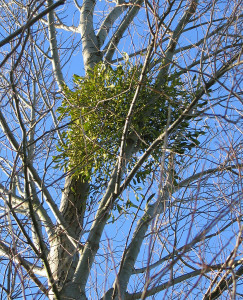 So how does mistletoe get up into the tops of trees? Nature arranges that by making the winter berries attractive to birds but quite sticky. A bird eats the fruit. It then flies to another branch rubs the sticky seed off its bill where it sticks. With luck that seed eventually germinates and voila, another Mistletoe plant.